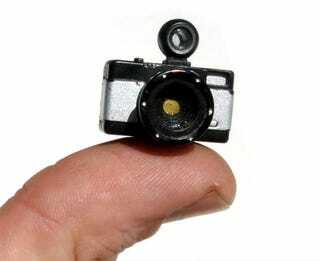 The creator of this tiny camera made two mistakes. One: it's styled like a Lomography Fisheye camera, but can't shoot fisheye photos. Two: they're not for sale yet. I demand ten.